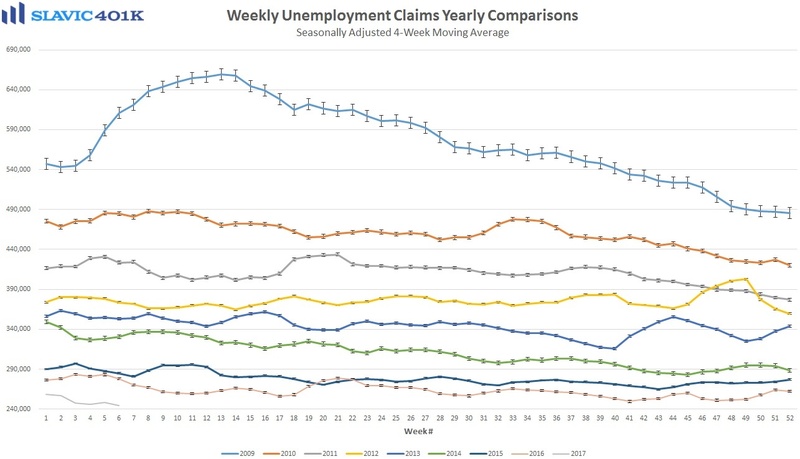 The only important economic data released this morning was a report from the U.S. Department of Labor, which showed that the number of Americans making first-time claims for unemployment benefits fell by 12K to 234K in the week ending February 4th. That was much better than expected and the lowest reading since November. 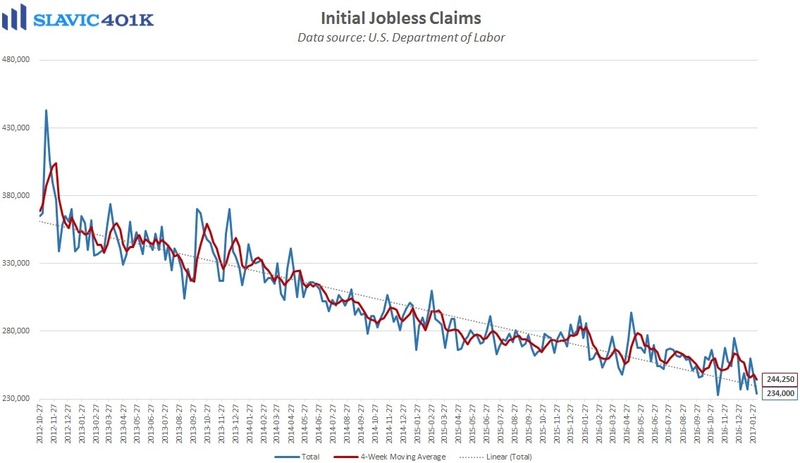 The smoother (less-volatile) 4-week average for initial jobless claims fell to 244.25K during this same period, a roughly 44-year low, and first-time unemployment claims as a percent of the civilian labor force slid to the best level on record. 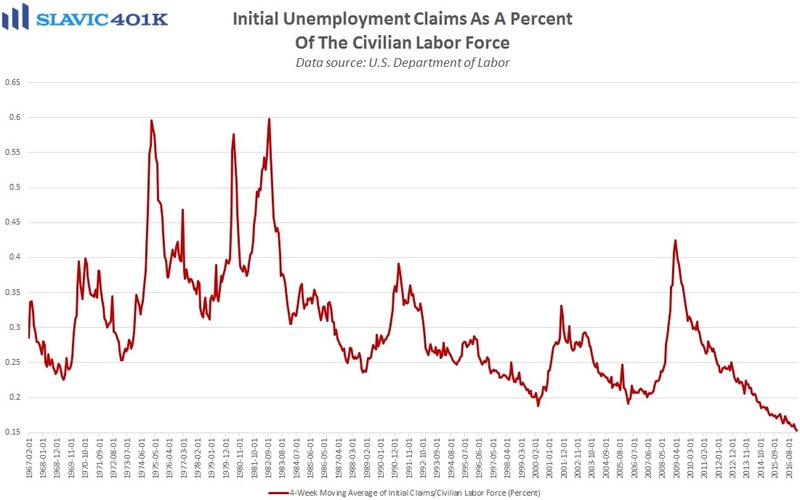 Moreover, headline claims for unemployment benefits have remained below 300K for 101 consecutive weeks, the longest such streak since 1970 when America had a much smaller workforce and population. Altogether this was another solid report on the U.S. labor market, highlighting that retailers were not in any rush to let go of workers following the holiday shopping season. 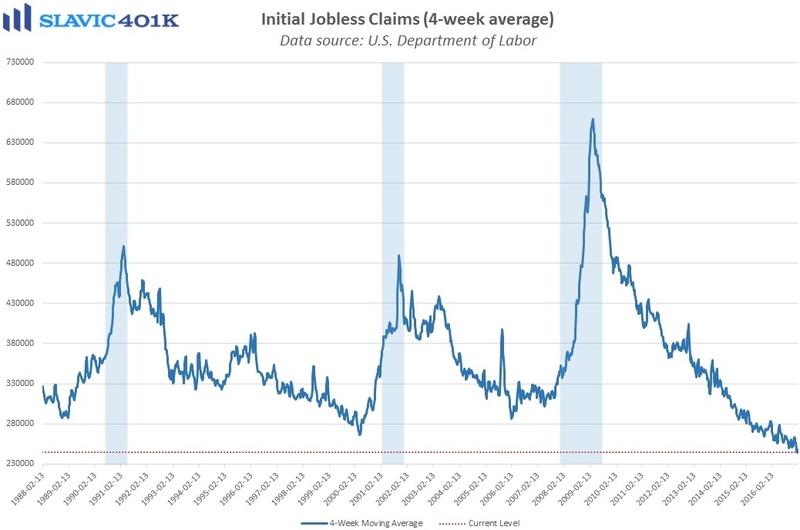 It is also encouraging to see initial claims remain near historic lows because demand for unemployment benefits typically spikes ahead of a recession.